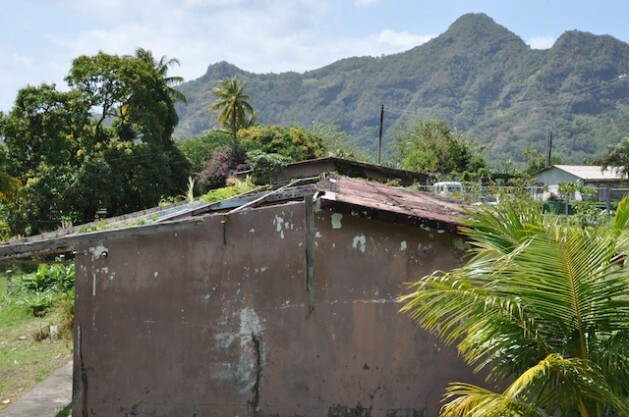 ST. JOHN’S, Antigua, May 21 2014 (IPS) - Climate change is forcing the nine-member Organisation of Eastern Caribbean States (OECS) to choose between expending scarce resources to deal with its impact or other pressing development goals. “There is a very thin line between consumption and conservation…progress and protection,” Grenada’s Environment Minister Roland Bhola told IPS. He explained that countries still have to fulfil the United Nations Millennium Development Goals (MDGs), which include reducing poverty and hunger, while dealing with the impacts of climate change. But there is a flicker of hope for these countries. The European Union (EU) has signed a financial agreement for 39.5 million East Caribbean dollars for a project designed to improve the sub-region’s natural resource base and its resilience to impacts of climate change. The OECS consists of the islands of Antigua and Barbuda, Dominica, Grenada, St. Lucia, St. Vincent and the Grenadines, St. Kitts-Nevis, Montserrat, Anguilla and the British Virgin islands. Head of the EU delegation to Barbados and the Eastern Caribbean, ambassador Mikael Barford, has acknowledged that this is a “very vulnerable region” and that the project is a reflection of Europe’s commitment to support climate action in developing countries. “On your doorsteps, scientists are warning that your 62-square-mile [161-square-kilometre] sister island of Barbuda is becoming one of the most vulnerable spots due to the consequences of climate change,” he told IPS. Antigua and Barbuda, the only country in the OECS to have appointed an ambassador for climate change, has had more than six hurricanes of various intensity over the last 20 years. She said that many small island developing states (SIDS), were suffering percentage losses of their GDPs because of the impact of climate change. “We’ve had extreme weather, variation in rainfall, significant flooding and our waterways are not able to cope with the climate as we know it. “Antigua and Barbuda is known as a dry weather country and so we design our homes, our roads and our lives around that reality. But today it’s getting worse and we experience flooding that Antiguans never knew or experienced before,” she added. Black-Layne, who is also the chief environmental officer here, explained that the authorities have undertaken many initiatives in planning for climate change but did not have the funding for adaptation measures. “Starting in 2016, just to get prepared to adapt to climate change, we will need to spend 40 to 50 million East Caribbean dollars a year,” she said. Antigua and Barbuda’s Prime Minister, Baldwin Spencer, who is the present chairman of OECS, boats of an outstanding record on recognising the importance and taking action on climate change. But he said Antigua and other SIDS face challenges originating from their small size and economies, geographical location, limited infrastructure and high vulnerability to environmental disasters. Spencer said these challenges are exacerbated by the projected impacts of global climate change coupled with increasing competition for limited resources, which combine to erode the ability of member states to meet their development aspirations on a sustainable basis. “This reality was manifested between the evening of Dec. 24 and the morning of the Dec. 25, 2013 when severe rains and high winds impacted significantly on the islands of St. Lucia, St. Vincent and the Grenadines and to a lesser extent Dominica, resulting in dozens of lives lost,” Spencer told IPS. The government of St. Vincent and the Grenadines declared a national level two disaster. In its rapid damage and loss assessment of Jan. 16, it reported total damages and losses of at least 279.3 million East Caribbean dollars, equivalent to 15 percent of the country’s GDP. Most of the damage sustained was in the infrastructure sector, placed at some 97 percent; followed by the social sector, three percent. St. Lucia’s post disaster needs assessment estimated that the total impact on the economy was at 224.7 million East Caribbean dollars in damage and losses to physical assets. “While this represents a moderate 6.3 percent of GDP, the severe infrastructure, environmental and social fallout, coupled with the cumulative effect from the recent 2010 battering by hurricane Tomas means that in reality the impact was significant,” Spencer said. In its most recent fifth assessment report, the Intergovernmental Panel on Climate Change stated that it has long been recognised that greenhouse gas emissions from small islands are negligible in relation to global emissions but that the threats of climate change and rising sea levels are very real to small islands. “There is no doubt that on the whole the impacts of climate change on small islands will have serious negative effects especially on socio-economic conditions and bio physical resources including the land,” Spencer said. The number of hurricanes passing through the Caribbean has risen from about five percent in the early 20th century to more than 25 in part of the 21st century. “One study prepared for the World Bank estimates the potential economic impact of such related climate change on CARICOM [Caribbean Community] countries could be as much as 10 billion dollars,” he said. The EU funding is being made available through its Global Climate Change Alliance (GCCA) project. In the Caribbean, the GCCA is active in Jamaica, Belize, and Guyana as well as within the Caribbean Community Climate Change Centre. Barford hopes the project will strengthen the bonds between the EU and the OECS countries in the joint efforts in international climate change negotiations. “There is clear evidence that climate change is having an effect on the region,” Barford pointed out. He said that only recently, two OECS member states, St. Lucia as well as St. Vincent and the Grenadines, signalled that they had severe water problems.